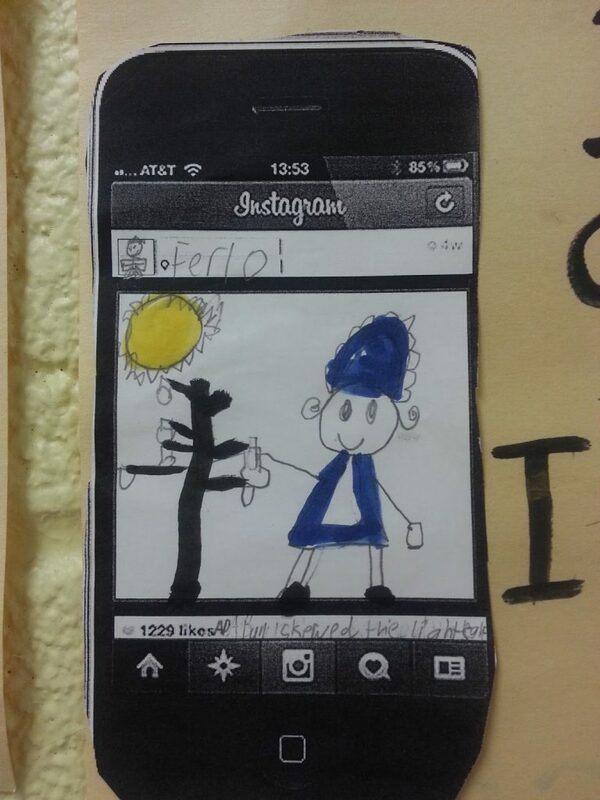 What if Amelia Bedelia had Instagram? This week we have dove head first into the wonderful, crazy world that is Amelia Bedelia! She is one of my favorite characters! I can remember reading her stories as a child and laughing at her silliness! 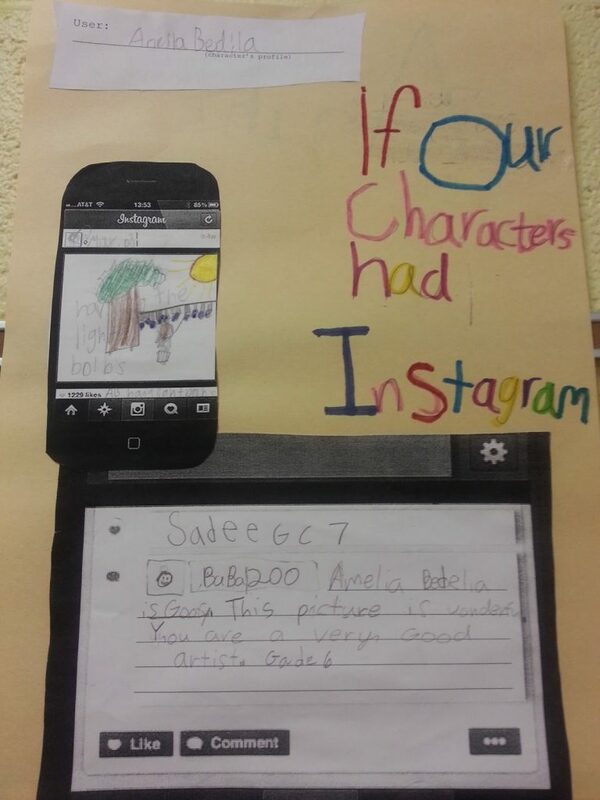 A few weeks ago I found this AWESOME, FREE, source on TPT…If Our Characters Had Instagram! I don’t plan the reading and ELA for my grade level so once I found this I immediately sent it to my partner teacher and said we have to do this! Luckily she agreed! 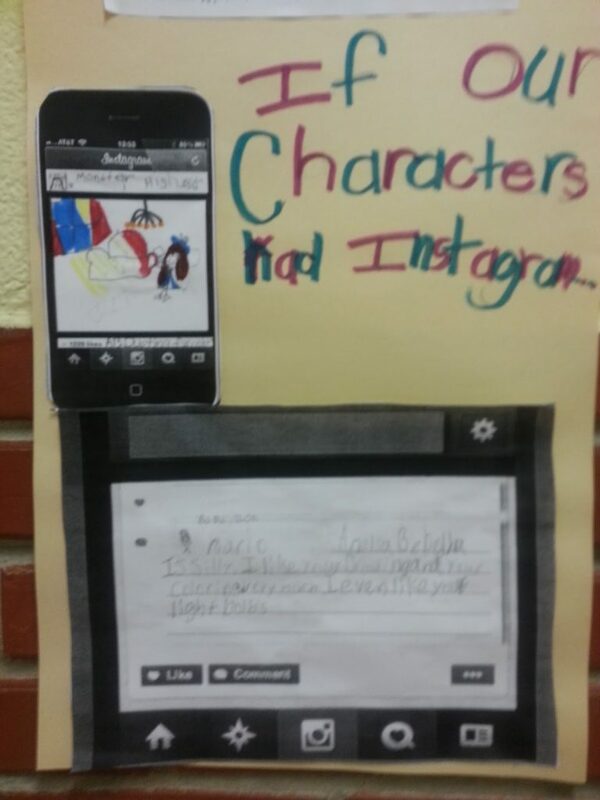 All of my kids know what facebook and twitter are but I was surprised that many of them hadn’t heard of instagram yet. I personally love instagaram but that’s besides the point! I showed them my personal account and explained that its like facebook except you share pictures of what’s going on in your life and that you can like or comment on other peoples photos. I then had them create their own username! Most chose a family nickname or their initials. One of my personal favs was maddog32! LOL Once they created a user name I told them to pick their favorite idiom from the original Amelia Bedelia story. (We’ve been talking about idioms too of course!) They then had to illustrate their favorite idiom and give it a caption. 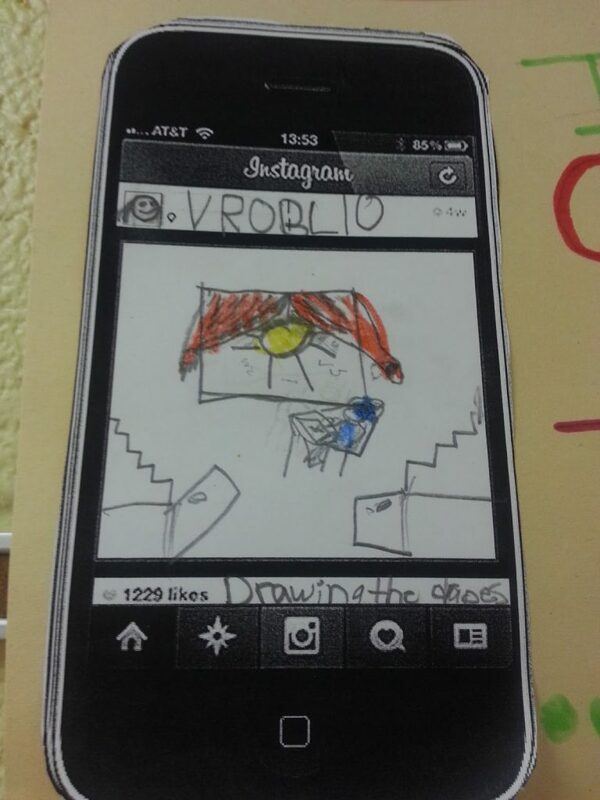 Then I had them switch desks and they had to comment on another students picture. They had to write a sentence using an adjective to describe Amelia Bedelia. Then write at least one nice comment about the picture. I then had them switch 2 more times and they had to write their user name and “like” the photo! I think they turned out pretty great! We will definitely be using this idea more often in 2F!